Stop fighting over time, stop putting all your focus on counting days, stop disrespecting the other parent’s time. Just stop it. Your child loves both of his parents, and he wants to spend quality time with both of you. SO CUT IT OUT. My parents divorced when I was two years old. As was common then, my mom had majority custody. I visited my dad every Wednesday and every other weekend. Their relationship was volatile, at best. I was constantly torn between two houses, two parents, and two allegiances. I was used as a pawn my entire life. My mom hated my dad for all that he had done to her when they were married, so she fought for majority custody and only gave him the minimum time she could. My dad hated my mom so he bought my love and gave me toys, junk food, and fun outings whenever I was at his house, just so she’d have to hear how awesome he was. Mom constantly threatened to take Dad back to court for additional child support. Dad constantly talked poorly about her parenting style, her new husband, and her person in general. And who lost? Me. I did. Every single day. Mom wouldn’t let Dad trade days unless it benefited her in some way, and she’d still hold a grudge about it. Dad would remind me every time he saw me that he was struggling to support himself because he was paying so much in child support. I remember one time vividly when he told me he’d call me when he got home from dropping me off at her house because he wanted me to tell him whose car was parked at Mom’s house. Children of divorce without healthy co-parenting relationships are put in awful, confusing, conflicting positions. They’re forced to choose between parents, to tattle, and to protect their parents’ feelings. It is completely unfair to children of divorce to have them live in such hostile, depressing situations. As a stepmom today, I channel my childhood feelings into every co-parenting decision we are faced with. It is not about you. It’s about your child. Whenever you are presented with a decision, stop and think what is best for your child first. Not you, nor your current or ex spouse. Think about your child. I completely understand where you’re coming from. Co-parenting is complicated, difficult, and frustrating. It’s so easy to become a “Me Monster” when you’re co-parenting with an ex. You find yourself asking, “Okay, but what’s in it for me?”—or worse, “But I don’t want to give that to him.” I’m here to tell you, mamas, it’s not about you. I understand that when you’re dealing with divorce and children, you feel like it’s a game of tug of war and you want to keep the knot in the middle, but it’s okay to sometimes let the knot slip into dad’s camp (or to take a little more if that’s what’s best!). It’s okay to stop pulling so hard because you know deep down that what’s best for your child is the ability to spend time with both parents. Your child wants to feel loved by both parents, and you’re preventing that when you’re not enabling flexibility with custody arrangements. At the end of the day, custody is not about you. It is about your child, and you should do everything you can to ensure your child is happy, healthy, and feels loved. 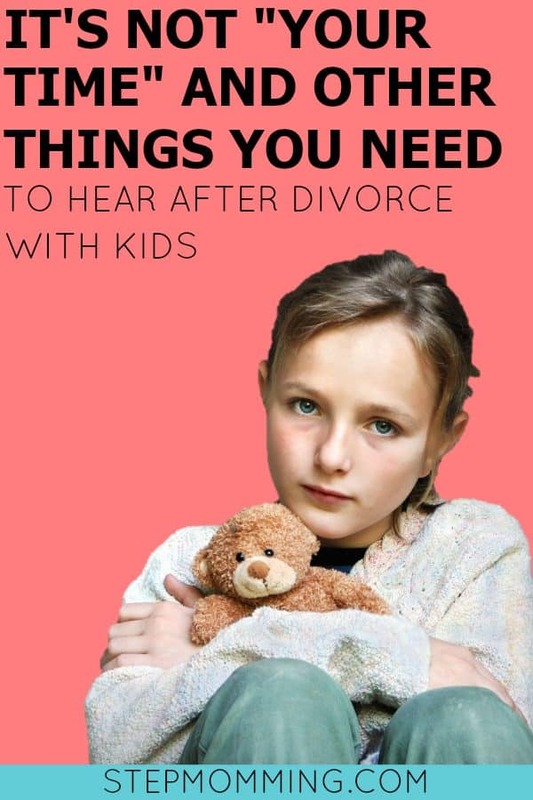 You need to understand that divorce is hard enough for children without you letting animosity or jealousy make it even harder on them. Parenting your children together after divorce requires a delicate balance, but it’s never about you. It’s not about you when you’re deciding custody. It’s not about you when discussing time swaps with your co-parent. And it’s especially not about you when your child is at the other parent’s house. When you’re newly co-parenting, one of the very first orders of business is determining custody arrangements. I’m here to tell you something very controversial but very real. 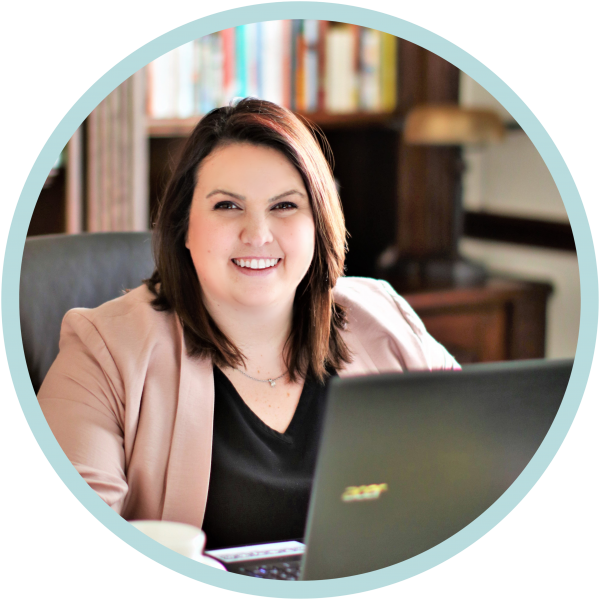 While you think your goal should be 50/50 custody, it really should be doing what is best for your child – that is number one! And I don’t mean “I’m his mother, obviously I’m what’s best for him,” “I make more money and can buy him more things so clearly he should live with me,” or “He’s the one that cheated on me, so I deserve majority custody” arguments. Those won’t suffice. I mean, “Because his dad works swing shift, he should be with me on those days since Dad can’t pick him up from school or spend any time with him before he gets off work at 11pm” or “Since his dad is able to work from home, he should take the weekdays and spend time with him after school and I should have weekends since I have less flexibility Monday through Friday and can’t see our son those days.” Those are legitimate reasons to offset 50/50 and to put your child first. Think about your child’s quality of life. What is best for him/her? Does Dad live in a bad part of town? Does he work crazy hours? Maybe that’s not promoting the best quality of life. Do you live in a neighborhood with a much higher rated school system? Perhaps that does promote the best quality of life for your child. I completely understand that you can’t comprehend not spending holidays with your child every year, but don’t you think your ex feels the same way? Figure out an alternate plan that will promote your child’s happiness. Perhaps you all get together and celebrate Christmas as a team. Or maybe you take Christmas Eve because that’s when your family gets together and he should take Christmas morning because that’s when his family celebrates. Do you love Halloween and he goes all out for Easter? Sounds like there’s a compromise there to me! I want you to also think about your ex’s family. Are your child’s grandparents involved in his life? He’s going to want to see them! If you’ve only given your co-parenting partner (yes, I’m using that word intentionally) one weekend in the custody agreement, he will not want to use his two days per month to go see his parents and share his child. Remember, it’s not about you. It’s about your child. And do you really think that estranging him from his grandparents is what’s best for his quality of life? First of all, do you think your ex would be asking you for extra (or swapped) time if he didn’t need to? He’s probably been dreading asking you, if we’re being honest. He doesn’t want his days and plans messed up any more than you do, so he hates having to ask for favors (plus, no person wants to be indebted to his or her ex, I promise). Second, this is harder… I need you to remove your own emotions from the equation. Would your child want to do what your co-parenting partner is suggesting? If so, that’s really the end of the conversation. You say, “Yes, of course.” If you already had plans you can’t cancel, then politely explain the situation and ask if there’s another opportunity to do what he had requested. Figure out a solution together. I have an amazing example of this. Just a few weeks ago, Kevin and I were babysitting our nephew for the weekend. Usually we don’t pick up my stepdaughter K until Saturday afternoon, but I texted Amanda (K’s mom) the week before and told her that K really wanted to spend the weekend with her cousin and asked if she’d be willing to swap some time around and pick her up a day early (yay spring break!) if we could pick her up a day early on the other side so K could spend more time with her cousin. Amanda unselfishly said “Yes, of course” even though the schedule wasn’t perfectly ideal for her, and K had a really great time! Don’t be territorial about your assigned custody time. It’s not “My time” and “His time.” It’s time that your child is spending with each parent. If your arrangement is not even close to 50/50, I promise you that your child would be beyond thrilled if the other parent surprised him with a visit on a day that isn’t normally Dad’s day. My dad never did this when I was growing up, but if he had, I would have felt like the most special girl in the whole world. Similarly, don’t be petty about the swap. It doesn’t have to be totally even down to the exact minutes and seconds. It’s all about the child, remember? If it would benefit his quality of life to spend a little bit more time with Dad during the swap, that’s okay. 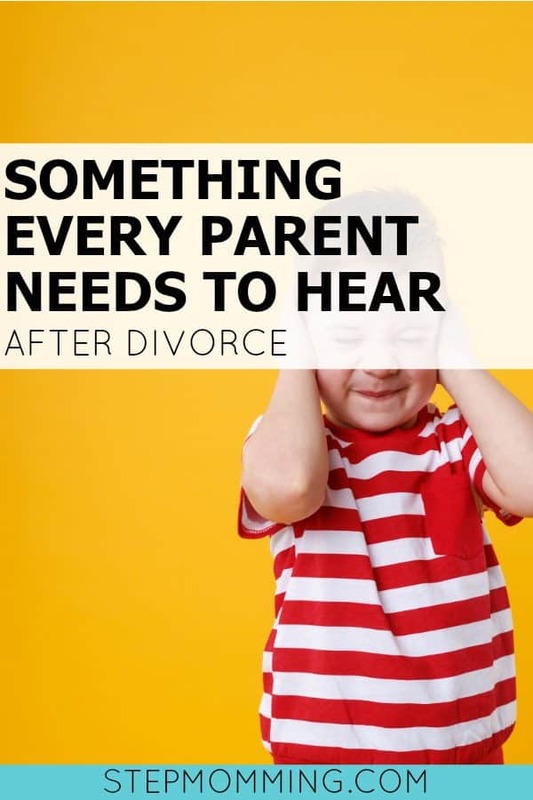 BONUS: It will greatly benefit your co-parenting relationship if you’re less focused on days and more focused on your child during these conversations. When discussing our wedding with Amanda, we knew that we’d have to swap out time because we were traveling to the wedding destination during her normally scheduled time. In exchange, we offered her the weekend that Kevin was traveling for his bachelor party and all but two days that we were gone for our honeymoon! Because K couldn’t spend that time with her dad, we felt it contributed more to her happiness to spend that extra time with her mom. Was it “fair?” No, it wasn’t an even trade. Was it right? Absolutely! Know that I have your child’s best interest in mind when I tell you to respect the other parent’s time with his child. Telling your child to FaceTime or call you each day, isn’t fair to anyone. Your child will call you if he needs you. If you’re constantly contacting him while at his other house, you’re interrupting quality time, and it doesn’t allow your child to fully bond with the other parent. He’ll be okay, and if he’s not, he’ll call you! Now I’m not saying you should never talk to your child when he’s at the other parent’s house. There are some instances where this is perfectly okay. But it’s a much better set up when you, as the parent with your child, call the other parent yourself to let them know something awesome happened. If something extra special happens, like if your child loses his first tooth, calling the other parent to let him know is one of the best ways to connect to your co-parent. You’re one big family, after all. Let them share in the excitement! Further, don’t send messages through your ex to the child if it’s not absolutely necessary. I can definitely relate to the urge to text your co-parenting partner and share something exciting that happened at your house while the child is gone, but it’s disruptive. Your child may be excited, but he’ll still be excited when he gets home. Unless there’s something you definitely need to share that can’t wait until he returns home, let him enjoy his time with his other side of the family. There were times growing up when I was at one parent’s house, and the other parent would call to tell me something super exciting waiting for me when I returned, like a puppy or a birthday present that had arrived early! I was so excited about what waited for me at the next parent’s house that I was robbed of quality time with the current parent. It’s not fair to your child to put him or her in a position to choose sides (or to even recognize sides, for that matter!). I know there’s been a lot of tough love in this post, Mama, but as a product of divorce, I’m in it for the kiddos. I want them to feel normal, loved, and content with living between two homes. It’s not about you. It’s about your child. Remember that next time you’re faced with a co-parenting choice. I’m also a child of divorce, and resonate with your feelings and experience of childhood. I love your tips and wish more families saw those benefits. Its hard to adult, but parenting the children is even more important. I agree with everything you said! Any suggestions when your ex has narcissistic personality disorder? He has to control everything including the kids extracurricular activities. He puts them in things they don’t want to be in and then punishes them if I don’t take them on my time. We have a 50/50 split after years of him taking me to court. I finally stopped fighting for the kids and my own sake. He leaves them with his mom and they call me crying. I try to be strong and honestly I lie to them that it’s all okay. He tells them that he cries himself to sleep when they are with me and many other crazy things. Our daughter never wants to get married or have children. Our son can’t wait to move out so he doesn’t have to deal. How do I make this easier for them? Jen, this breaks my heart. His behavior is so similar to my father’s growing up. He was always the victim and never an adult. I have a few tips for you that I hope will help you, or at least encourage you to keep pushing through for your kids. I encourage you to continue to take the high road and not bad-mouth him to your kids; you’re such a strong woman, and I admire your patience and maturity (it’s not easy!). If it’s an option, limit the time they can spend with him if he’s upsetting them and affecting their lives negatively. Extracurriculars should be included in your court agreement, that they must be agreed on by both parents and there should be limitations on how often the activities can occur during each parent’s scheduled time. I hate, hate, hate the mentality to “Take him to court!” but I also will always advocate to do what’s best for your children. I’d also encourage you to have your children talk to a trained professional. “Daddy issues” are so real, and it breaks my heart your daughter doesn’t want to get married or have her own children as a result. This situation is breaking them, and that’s so unfair. Stay strong. Please stay in touch, I’d really love to help however I can.